You shouldn’t have to pay out of pocket for injuries that aren’t your fault. With a Pleasant Grove injury lawyer on your side, chances are you won’t have to. Regardless of what caused your injury, if someone else is to blame, you can seek compensation to account for your suffering and other damages. However, although the concept of pursuing compensation is simple, putting it into practice requires a lot of experience, knowledge, and patience. 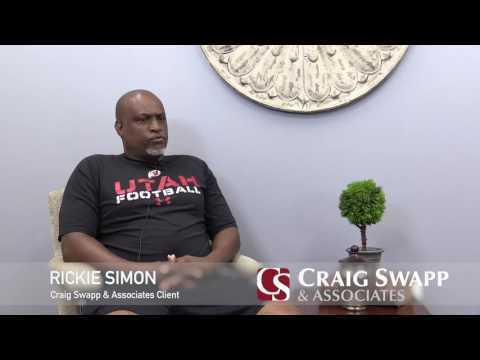 You’ll find a Pleasant Grove personal injury lawyer who has all those qualities in spades at Craig Swapp & Associates. Our qualified attorneys handle many kinds of personal injury claims in the area. We’ve detailed a few of them below. Car accidents are likely the most common type of personal injury. They are also likely to result in a serious injury if the accident was a rollover or someone was tossed from the vehicle. It’s important to hire an attorney after a Pleasant Grove accident because, although insurance companies are involved, they likely won’t make an adequate settlement offer. We also handle cases involving semi-truck crashes and motorcycle wrecks. If you were hurt on the job, filing a workers compensation claim may seem like the natural first step. Workers comp insurance is in place for a reason: It provides a way to receive medical attention and a portion of your lost wages. However, it is often not enough. In Pleasant Grove, injured workers who file for work comp don’t even receive the benefit of their full paycheck, making it harder to pay the bills while trying to recover. This isn’t right, especially when the accident was no fault of the worker. Luckily, it could be possible to file a Pleasant Grove personal injury claim as long as a third party (other than your employer) was partially to blame for what happened. Manufacturers make an implied promise when they sell product. By putting their good on the market, they are stating that it is safe for use or consumption. If that promise turns out not to be true, a Pleasant Grove accident injury lawyer can seek compensation for the injury the product in question caused you to suffer. Property owners are supposed to keep their grounds in good working order. This means fixing things like broken steps, replacing lights, de-icing sidewalks, and cleaning up spills. It also means restraining potentially dangerous dogs. When this doesn’t happen, owners can be responsible for injuries visitors suffer as a result. Unfortunately, these premises liability cases are difficult for victims to prove. It is important to work with an injury attorney in Pleasant Grove from the beginning to gather the evidence necessary to demonstrate that the property owner could and should have prevented the accident. If a Pleasant Grove accidental injury lawyer can prove that your minor or serious injury occurred because of someone else’s negligence, you can recover compensation. However, you’ll have to gather evidence, so the sooner you hire an attorney, the more time he or she will have to do so. After building you a strong claim for compensation, your attorney will help you determine an amount of compensation to ask for. This should take into account your medical expenses, property damage, lost wages, pain and suffering, emotional trauma, and many other damages, including those that extend far into the future. To learn more about your legal options after suffering a serious injury, schedule an appointment with Craig Swapp & Associates. Get in touch with a Pleasant Grove personal injury lawyer via the form below or by calling us at 1-800-404-9000.